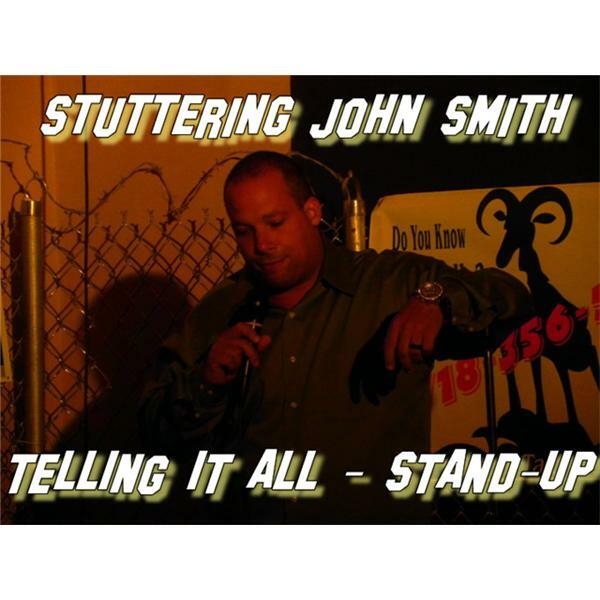 Stuttering John Smith Telling It All - Motivational Speaker/ Life Coach / Comedian / Mentalist - About me: Reality is merely an illusion, a very persistent one...! - Albert Einstein said but who gives a f*&K? IT'S ABOUT ME!!!! Now About Me??? Haaaaaa what can I say??? Everyone knows John Melendez aka "Stuttering John" from the Howard Sterns show right! but who gives a f*&k!! IT'S ABOUT ME!!!! My name is also John and yes I also Stutter. I was born in Brooklyn, New York. After going to high school I did a number of jobs from plumbing to DJing in the best clubs in NY to computer programming for the best firms in NY and NJ, etc etc...... I am one of New York's hottest Comedian/Mentalist/Psychic right now!!! I love going to parties and clubs and doing my sets. I don't only tell jokes I also do Mind Reading, Para Psychological Activities, Precognition, Predictions, Psychokinesis and Telepathy. That’s right boy!! IT'S ABOUT ME!!! I am not like other comedians I am also a mentalist!!!! If you come to one of my shows you will never know if I am going to be a comedian or a mentalist on the stage that night!! but IT'S ABOUT ME!!! If you’re having any type of fundraiser let me know, I would be more then happy to help out. If you’re a owner or manger of a cafe or restaurant you should contact me, I can keep your clients happy as your clients are waiting for tables or food! No one likes waiting but I will make them forget about the wait. For night clubs, restaurants and hotels I can do a standup or walk around show. My shows will pack them in! yes it will and IT'S ABOUT ME!! !